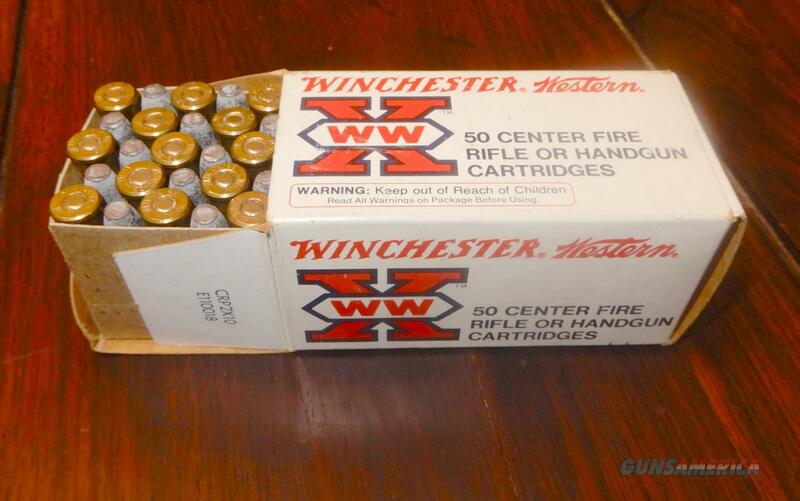 Description: Full box of 50 lead head WIN 32-20 cartridges. Old new stock from the 1960's. All original.